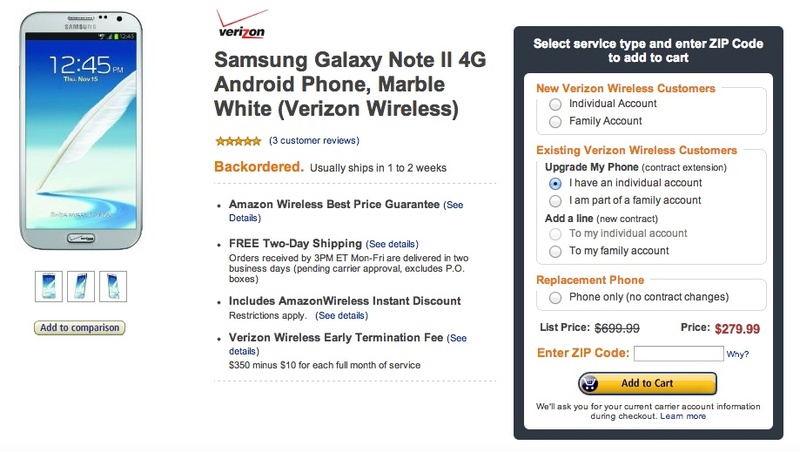 If you were waiting for Verizon’s version of the Samsung Galaxy Note 2 to start hitting online retailers at a discounted price, then today is your day. Now available on Amazon, the Note 2 for Verizon can be had for $279.99, a $20 discount. Well, almost had. It does list the device as “backordered” and that it will ship within 1-2 weeks. Just in time for X-mas, right?